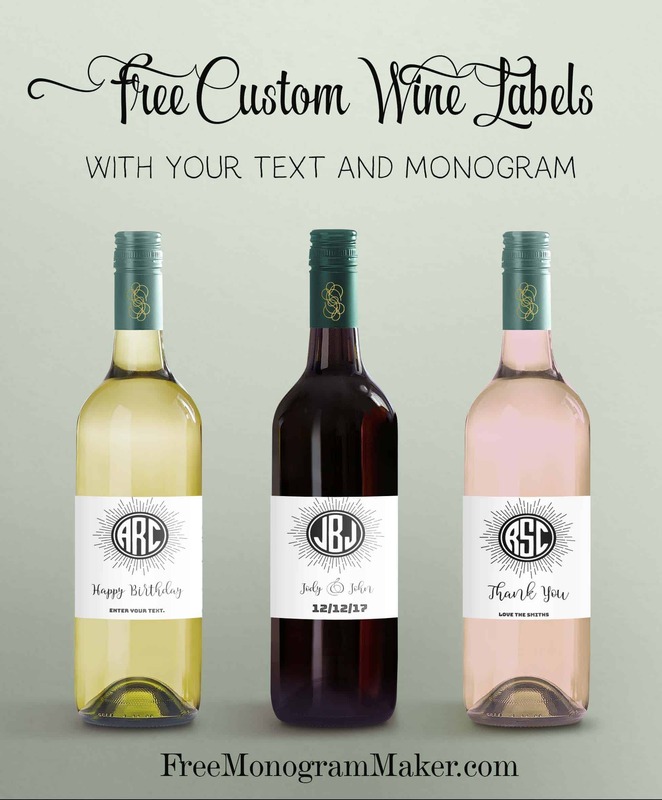 These custom wine labels can be created for many purposes. They can be used as wedding favors or to serve wine at a wedding. Stick one on a good bottle of wine with a Happy Birthday message and you have a perfect birthday present. 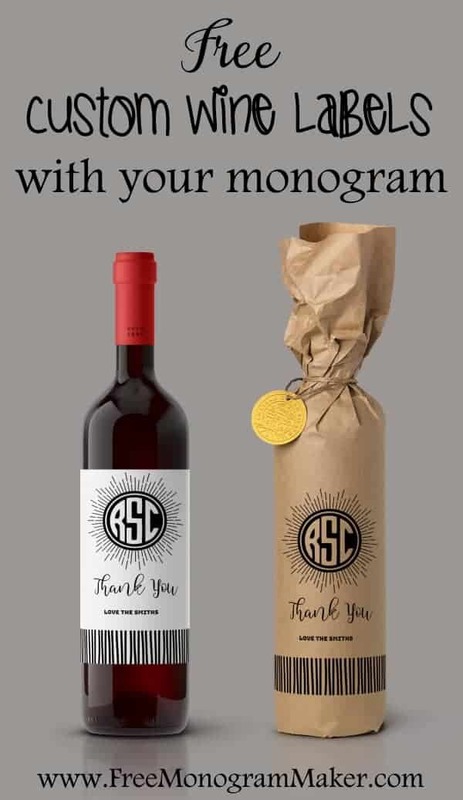 Prepare a few bottles with a “Thank you” label and you have a ready-made gift for your host when invited out for dinner. Each sheet has three customized wine labels and each label can be customized with a different message and even with a different monogram. You can also make a personalized sheet of wrapping paper which will add the perfect touch to your customized monogrammed gift. You can add the bride and groom’s monogram, their names and the date of the wedding as in the example above. Since all text can be edited and you can also add your own text you are free to make any changes and customize the label. You can even add a photo of the bride and groom. Take a single label on insert it into a copy machine that can use large paper (a double sheet). You might need to do this at your local printer. Copy the label on the blank brown sheet (you can use white paper if you prefer). Roll the paper around the bottle of wine. Fold the bottom flaps and tape them. Twist the top and tie with string. Soak the bottle of wine in warm soapy water. Remove the label and the glue residue. Print the labels on waterproof sticker paper or regular paper. Cut out the labels (there are three per page). If you are using regular paper then coat with custom label with paper glue (use a regular paper glue stick).